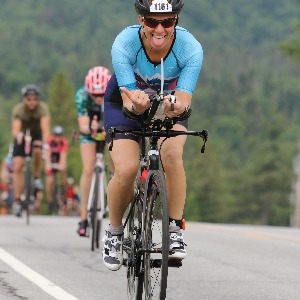 I'm an endurance athlete, and the owner/head coach of No Limits Endurance Coaching. Triathlon and ultra running have revolutionized my life, teaching me to fear less and live more. I coach with a holistic approach that considers your athletic ability and history, mental training, nutritional habits, and life-training balance. I focus on your short and long terms goals to personalize training for you. I use all available metrics to analyze your training to ensure you are on track to making your Big Dreams a reality. I want to work with athletes who dream big - with the motivation and willingness to work hard to achieve goals. Some key races for the No Limits Team: Ironman Lake Placid, Ironman Maryland, Ironman Atlantic City, Philadelphia Marathon. I am USA Triathlon & USA Cycling certified. I blog about my personal training & racing at http://www.runningalife.com. I seek athletes who dream big - with the motivation and willingness to work hard to achieve goals. Success. Coach Maria Simone has been notified of your message. To hire Maria Simone as your coach, select the coaching service that is right for you.